It’s time to recognize that traditional network security tools grant users too much access and therefore create a serious security gap. A typical user may be authorized to access only a few resources across the enterprise, but from a network perspective can see, and send packets to, every service running on every server on the network. This is even more of a problem as organizations move to dynamic cloud-based infrastructures. And once an attacker obtains a foothold, they quickly exploit vulnerabilities to escalate privileges, traverse the network, and gain access to the organization’s crown jewels. 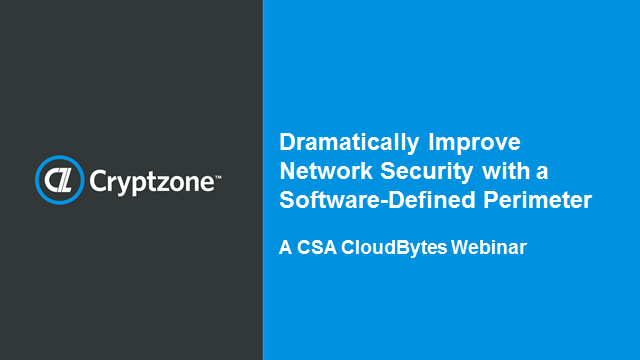 Jason Garbis, VP Products from Cryptzone, will lead a lively talk about how, using concepts of the Software Defined Perimeter, organizations can stop attackers from accessing your organization’s crown jewels.